Chase Ink Business UnlimitedSM is a solid, if unspectacular fixed-rate rewards credit card that offers 1.5% cash back on all spending. This no-annual-fee card really shines when it comes to introductory rewards, worth $500. You’ll also pay no interest for 12 months on purchases, then as little as 15.49% APR. The best cash-back business credit cards that offer fixed-rate rewards pay up to 2% cash back on everyday spending. They also offer introductory rewards of as much as $500 and introductory 0% APR on purchases for 12 months or longer. 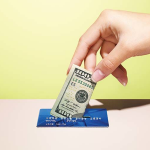 This Chase card ranks among the best small business credit cards in two of these three areas. After assessing its costs and benefits, we give Chase Ink Business UnlimitedSM 4 stars out of 5 stars possible. Chase Ink Business UnlimitedSM offers top introductory rewards worth $500 cash back after you spend $3,000 within three months. It charges no annual fee. 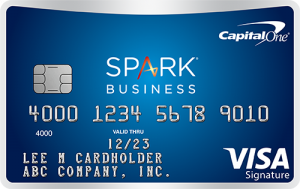 Capital One® Spark® Cash for Business pays 2% on all spending and also offers a $500 sign-up bonus, but you’ll have to spend $4,500 to earn that bonus. Plus, that card charges an annual fee of $95 that is waived the first year. Ongoing rewards: The cash back you’ll earn by using the Chase Ink Business UnlimitedSM card. You’ll earn 1.5% cash back on all spending. Introductory rewards: The cash back you’ll earn by reaching minimum spending requirements over the first few months of card ownership. The Chase Ink Business UnlimitedSM card offers $500 cash back after you spend $3,000 within three months. Annual fee: How much you’ll pay each year to own the card. The Chase Ink Business UnlimitedSM card charges no annual fee. Additional benefits: Whether the card comes with free perks that may increase its value. The Chase Ink Business UnlimitedSM card offers free perks like rental car insurance, purchase protection, and extended warranty protection. Introductory APR: Whether the card offers a period of no-interest financing on purchases or balance transfers. The Chase Ink Business UnlimitedSM card offers 0% introductory APR for 12 months on purchases. Ongoing APR: How much it will cost to finance purchases on the card. This card charges an ongoing APR as low as 15.49%, which is about average for a small business credit card that offers rewards. The Chase Ink Business UnlimitedSM card is on our list of the best small business credit cards. It offers lucrative introductory rewards without charging an annual fee. This card becomes even more valuable when you pair it with a Chase card that’s part of the issuer’s Ultimate Rewards program. You could transfer rewards earned with this card to your Chase Ink Business PreferredSM account to redeem rewards at a higher rate — nearly two cents per dollar on travel. When grading cash back business credit cards like the Chase Ink Business UnlmitedSM, we weight ongoing rewards heaviest. We rate introductory rewards as slightly less important, but they still are the second biggest factor in grading a card. We also take into account the annual fee, introductory and ongoing APRs and card benefits. This Chase small business card offers excellent introductory rewards, as well as a strong 12-month interest-free period. Based on our 5-star rating system where 20 points equals one star, Chase Ink Business UnlimitedSM would need to improve its ongoing rewards slightly to earn a boost in our star-rating system. In cases where cards receive perfect scores in most categories, we may award bonus points to boost the card’s rating. The best fixed-rate cash back business credit cards pay up to 2% cash back on all spending. They also offer introductory rewards of as much as $500 and introductory 0% APR on purchases for 12 months or longer. This Chase small business card ranks just below the best cards when it comes to ongoing rewards. The Chase Ink Business UnlimitedSM card is best for owners who want a card that offers fixed-rate rewards on all spending without having to pay an annual fee. This card also is ideal for business owners who own other personal or business Chase credit cards that are part of the Ultimate Rewards program, like the Chase Sapphire Reserve card. Transfer rewards to these cards to receive a higher redemption value when booking travel. The Chase Ink Business UnlimitedSM card is one of the best 0% APR business credit cards because it offers free financing for 12 months on purchases. Even so, you’ll pay a higher balance transfer fee than other cards charge. Foreign transaction fee: 3% for purchases made outside the U.S. If you have to carry a balance, you’ll find cards that offer cheaper financing. The Bank of America® Business Advantage Cash Rewards Mastercard® charges an ongoing APR about two percentage points lower. Your payment due date on the Chase Ink Business UnlimitedSM is at least 20 days after the close of the business cycle, which is when you receive your bill. Pay your balance in full by the due date to avoid interest charges. This card doesn’t carry a minimum interest charge. The potential due date on this Chase card could be shorter than other cards, like the SimplyCash® Plus Business Credit Card from American Express, which has a payment due date at least 25 days after the close of the business cycle. The Chase Ink Business UnlimitedSM card offers fixed-rate cash back on all spending. It also offers the best introductory rewards available from a card that charges no annual fee. It’s introductory offer is identical to another Chase business credit card, the Chase Ink Business CashSM card. If you want higher introductory rewards, you’ll have to choose a card that charges an annual fee. The American Express Business Platinum® Card, for example, offers a sign-up bonus worth up to 75,000 Membership Rewards points. You’ll have to spend $20,000 during the first three months to earn the introductory rewards, and you’ll pay a whopping $595 annual fee. The Discover it Business Card also offers 1.5% cash back on all spending. But the issuer says it will match all cash back earned during the first year of card ownership, meaning this no-annual-fee card offers an effective 3% return for the first 12 months. Rewards never expire, but you will lose all of your unredeemed rewards if your account is closed or you don’t make the minimum payment within 60 days of the due date. Other business rewards credit cards have similar restrictions on the types of purchases that won’t qualify for rewards. You can redeem your rewards for cash back, gift cards and travel through the Chase online travel portal. Redemption value for all three options is one cent per point, which is fairly typical. When redeeming for cash, you can receive a statement credit or a deposit into an eligible checking or savings account from a U.S.-based bank or credit union. You also can increase your redemption value when you transfer rewards to another Chase card you own that’s part of the Ultimate Rewards program. If, for example, you transfer Chase Ink Business UnlimitedSM rewards to your Chase Sapphire Preferred personal card, each point is worth 1.25 cents per point when redeemed for travel. You may be able to boost the redemption value further by combining your Chase Ink Business UnlimitedSM rewards with another Chase card and then transferring those points to one of the issuer’s airline partners. When transferred, point values vary, but your redemption value could exceed two cents per point or more when booking flights, increasing your return on purchases to at least 3%. When you authorize a transfer, you’re maximizing your credit card rewards. Chase Ink Business UnlimitedSM offers several travel and purchase protections as complementary perks, including rental car insurance and extended warranty protection. You’ll find similar features on cards like the Capital One® Spark® Cash for Business card, although the benefits and limitations may differ. When you rent a car using your Chase business card, you’re covered in case of accident or theft. Coverage is primary if the vehicle rental is for business purposes (secondary when you’re renting for personal reasons), which means you won’t need to use your personal auto insurance or accept insurance offered by the rental agency. You may be reimbursed up to the cash value of the vehicle. The auto rental collision damage waiver covers damage due to collision or theft. Both the cardholder and any additional drivers permitted by the rental agreement are covered. Rentals of 31 consecutive days or less are eligible. You’ll also be covered for “reasonable and customary towing charges” and loss-of-use charges incurred by the rental car company. This coverage is similar to what other cards that offer primary rental car insurance cover. Unlike this Chase small business credit card, some cards also may place a monetary cap on the coverage. The American Express Business Platinum Card®, for example, caps coverage at $75,000. The exclusions are similar to what other small business cards that offer primary rental car insurance exclude. Chase may repair, replace or reimburse you for items purchased with your credit card that are damaged or stolen within 120 days of purchase. Coverage is limited to $10,000 per item, up to $50,000 per year. Purchase protection covers items stolen or damaged or that “in which the item’s location is known but recovery is impractical to complete.” This coverage is similar to what other small business credit cards that offer purchase protection cover. Business credit cards that offer this coverage typically limit coverage to either 90 or 120 days after purchase. Chase Ink Business UnlimitedSM offers a longer coverage window than the Capital One® Spark® Classic for Business. Exclusions here are common across small business credit cards. Extended warranty protection covers eligible items with a valid original manufacturer-written U.S. repair warranty of three years or less.This is a smaller window of additional coverage than some other small business credit cards offer. The SimplyCash® Plus Business Credit Card from American Express, for example, offers two years’ extra warranty protection if the original manufacturer’s warranty is between two and five years. Chase’s extended warranty protection offers a smaller window of additional coverage than some other small business credit cards. American Express Blue BusinessSM Plus, for example, offers two years’ extra warranty protection if the original manufacturer’s warranty is between two and five years. For shorter manufacturer’s warranties, American Express will match the length of the original warranty. Chase will provide travel, emergency, medical and legal assistance 24 hours a day to the cardholder, their spouse, and dependent children 22 years or younger. Like with most small business credit cards, this is mostly a concierge service. The cardholder is responsible for the cost of any assistance. Some cards that charge an annual fee may offer additional assistance or benefits. The American Express® Business Gold Card, for example, includes on its Global Assist Hotline bail bond assistance and referral to an attorney who speaks English. Employee cards, like the Chase Ink Business UnlimitedSM master account, aren’t charged an annual fee. Most small business credit card issuers, with the exception of American Express, charge no fee on employee credit cards, even if the primary card carries an annual fee. Chase does not limit the number of employee cards you can get, but says you should consider a corporate credit card if you need more than 100. Among the benefits, corporate cards offer better reporting tools and allow you to more easily issue cards on your own. Chase Ink Business UnlimitedSM does not offer bonus category rewards, which means you could be missing out on earning 5% cash back on certain spending categories, like travel or dining. If you fly frequently, you could earn rewards of up to 5% on the best business credit cards for travel. For excellent travel rewards, choose the Chase Ink Business PreferredSM, which offers 3x points on travel expenses, including airfare, hotels and parking garages. We scoured the internet for user reviews of this card. Customers like the 12-month introductory APR as well as the strong introductory rewards, but say the ongoing rewards aren’t competitive with other cards that offer fixed-rate rewards. Indeed, the American Express Blue Business℠ Plus earns 2x points on all spending up to $50,000 annually. Before opening a small business credit card, learn what you need to do to prepare. Apply for the Chase Ink Business UnlimitedSM online by filling out a basic application.You’ll need to provide both business and personal information, like your Social Security number and business address. You may be approved instantly. If you’re not, check your application status online if you’re an existing Chase customer; otherwise call 800-453-9719. If you’re approved, you’ll receive your card in the mail within seven to 10 days. Login to your Chase account by providing your user ID and password. You can also contact customer service from the number on the back of your card. Chase Ink Business CashSM: This card is best for owners with big office supply expenses. You’ll earn 5% cash back on the first $25,000 spent in combined purchases at office supply stores and on internet, cable, cellular phone, and landline services each account anniversary year. You’ll pay no annual fee. 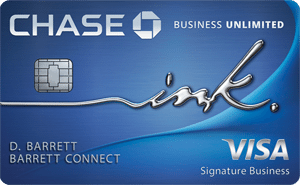 Chase Ink Business PreferredSM: This card is best for businesses with large travel budgets. You’ll earn 3x points on the first $150,000 spent in combined purchases on travel, shipping, internet, cable and phone services, and advertising purchases each account anniversary year. You’ll pay a $95 annual fee. UnitedSM Explorer Business Card: This card is best for owners who frequently use United Airlines for business travel. It pays 2x miles on United purchases, and at restaurants, gas stations and office supply stores. You’ll pay a $95 annual fee, waived the first year. United MileagePlus Club Business Card: This card is best for heavy travelers who primarily fly United Airlines. It pays 2x miles on United purchases and 1.5x miles on everything else. The annual fee is $450. Southwest Rapid Rewards® Premier Business Credit Card: This card is best for businesses that frequently use Southwest Airlines for travel. It pays 2x points on Southwest purchases and 6,000 bonus points on each cardmember anniversary. You’ll pay a $99 annual fee. If you like credit cards that don’t require you to track spending categories, Chase Ink Business UnlimitedSM is a good fit. But there are similar cards that offer higher value on fixed-rate rewards. Note: The information related to the UnitedSM Explorer Business Card, United MileagePlus Club Business Card, Chase Sapphire Reserve and Chase Sapphire Preferred has been collected by fitsmallbusiness.com and has not been reviewed or provided by the issuer of these cards.